Day 16 of 21 Day Daniel Fast – So for this particular post I have to post it up a little early (a day in advance) since I find myself really bogged down with work I’ve got to do after the new year. This is a song that was brought back to memory that I believe will be very encouraging for anyone who is continually seeking to Walk with God. Faith is something built through Trust and Belief. You can only go from strength to strength in your walk when you measure and increase your cup of Faith. God is with you but you have to believe it to be true so that you can Trust Him when you face adversities in your life. 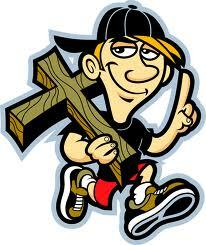 I find that even in my walk I ask questions like “Where are you when I need YOU GOD?”. When searching for answers, they may very well be right in front of us but we may fail to see them when we are wrapped up in our emotions. So be encouraged no matter what you are going through, GOD IS WITH YOU. That is what the name Immanuel means, “God With US”. This song is from Donnie McClurkin called Didn’t You Know. I hope it blesses you today as it has blessed me. The LORD will command His lovingkindness in the daytime, And in the night His song shall be with me— A prayer to the God of my life. “ Behold the proud, His soul is not upright in him; But the just shall live by his faith. ← Surrendering Your All to God ~ Seriously?! 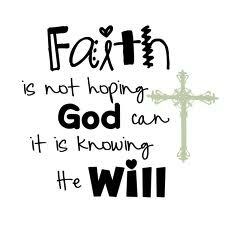 The just have no other way to live than by faith. Love the post my friend, took me so long to get here because I was having emailing problems and I was in the hospital. Glad to finally made it here. Love the song btw. I be reading other post, it may take awhile before I actually get to all of them..